Before reading this post, the Navigator of the Seas has has a huge upgrade. 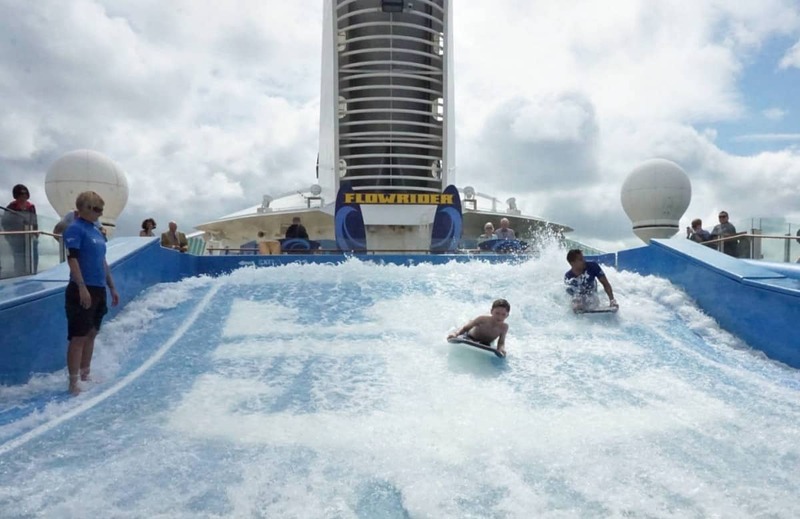 Check out the new features on Navigator of the Seas here. Last year we got the chance to check out Royal Caribbeans Navigator of the Seas whilst she was in port at Southampton. As a family we have cruised many times. And love Royal Caribbean. It is perfect for the travelling family that loves sport and adventure. Yet also offers a relaxed atmosphere with wonderful dining options should you want a calmer holiday experience. With that in mind I thought I would share the 10 things we love about cruising as a family, prompted by our day on the incredible Navigator Of The Seas. My head is buzzing with all the things I would share, how amazing my daily postcards could be with a new experience and port every day. 1. Embarkation day, arriving at the terminal, the buzz of getting on the ship with all the other passengers you are going to spend your cruise with. Who you say hi to as you are pouring your coffee, whilst you fill your forms out. But knowing the ship is so huge; you may never see them again. Wandering around the ship, getting your bearings, and the excitement of finding your cabin for the first time, and meeting your cabin attendant who in a weeks time you will be so sad to say goodbye too. 2. Being stood on deck at the sail-away party with a cocktail in hand waving goodbye to people in dock. The feeling of excitement as you set sail for the very first time during your cruise.